The interview with Rubie Bond provides an opportunity for students to compare and contrast the African-American experience with that of other ethnic groups who found homes in Wisconsin. Studied carefully, the oral history transcript provides a good example of how an oral historian probes for information, especially the kind of information that is rarely recorded in documentary sources. The following oral history transcript is an excerpt of an interview with Rubie Bond, a resident of Beloit featured in Wisconsin Public Television's Finding a Home program. The interview from which this transcript was prepared was conducted in 1976, part of the Beloit Bicentennial Oral History Project. 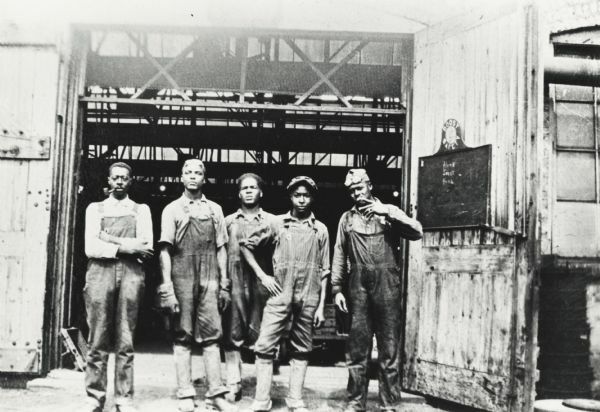 The project aimed to document the migration of African Americans to Beloit from the South, mostly between the late 1910s and the 1950s. The interviews contain information on employment, labor problems, education, housing segregation, the Beloit NAACP, churches, the Women's Community Club, and many other topics. The oral history tapes are preserved in the Archives of the Wisconsin Historical Society (at the Beloit College Archives Research Center) and at the Beloit Public Library. Abstracts for each interview are available, although full-text transcripts have not been prepared. In 1917, when she was ten years old, Rubie White moved to Beloit with her parents from Pontotoc, Mississippi. Her father had been recruited to work at Fairbanks, Morse & Co., a heavy manufacturing firm and Beloit's largest employer. She married Franklin Bond in 1928. In this excerpt, Bond describes the circumstances involved in her parents decision to move to Wisconsin, the trip by train to Beloit, the role of churches in the African-American community, and her adjustment to Beloit. Briefly summarize the reasons why the White family moved to Wisconsin. What year did Rubie White's family move to Wisconsin? What was happening in the United States at this time? Why were employment recruiters visiting Mississippi? How did plantation owners exercise such a high degree of control over workers with the sharecropper system? Why might skilled African Americans have decided to stay in the South? How would you characterize Rubie Bond's overall attitude toward life in Wisconsin? According to Bond, what were some of the differences between her education in Pontotoc and her education in Beloit? Carefully study the interviewer's questions. Can you identify any strategy? Explain. As you read the transcript of this oral history, consider some of the strengths and weaknesses of oral history as a source. Why would a topic such as the migration of poor African Americans from the rural South to industrial cities be important to document with oral history? Compare and contrast the reasons why African Americans moved to Wisconsin with those of other ethnic groups featured in the Finding a Home programs. Have students think of other topics in the recent past that would be good oral history projects. Perhaps they have friends or relatives who have interesting stories to tell. Then direct the students to come up with a set of ten interview questions that will illuminate the most important experiences of their interviewees. Have them videotape or audiotape an interview and present it to the class. See more images, essays, newspapers, museum objects and records about Beliot. 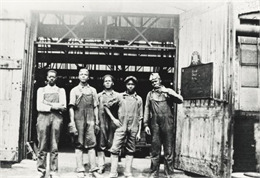 See more images, essays, newspapers, museum objects and records about African-Americans in Wisconsin.